Important note: On 2 June 2018, the Government of Norway submitted an Application form for the placement or removal of wastes on Annexes VIII and IX and a Summary of reasons for the proposed placement. A communication transmitting this information to Focal Points to the Basel Convention can be viewed here. 1. The eleventh meeting of the Open-ended Working Group of the Basel Convention on the Control of Transboundary Movements of Hazardous Wastes and Their Disposal was opened at 10.20 a.m. on Monday, 3 September 2018 by Mr. Mohammed Khashashneh (Jordan), Co-Chair of the Working Group. He and the other Co-Chair, Ms. Justina Grigaraviciene (Lithuania), welcomed the participants to the meeting. 1. 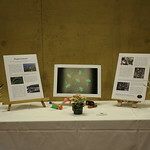 Opening of the meeting. 1. In its decision BC-13/1, on the strategic framework for the implementation of the Basel Convention for 2012–2021, the Conference of the Parties to the Basel Convention on the Control of Transboundary Movements of Hazardous Wastes and Their Disposal acknowledged that the midterm evaluation report could not be prepared owing in part to the low level of responses to the request for information in support of the indicators listed in section V of the strategic framework for the implementation of the Basel Convention for 2012–2021. 1. In paragraphs 9 and 10 of its decision BC-13/2, on the follow-up to the Indonesian-Swiss country-led initiative to improve the effectiveness of the Basel Convention, the Conference of the Parties extended the mandate of the expert working group on environmentally sound management, adopted the work programme of the group set out in annex I to that decision and requested it to develop activities, subject to the availability of resources, to implement its work programme. 1. At its thirteenth meeting, the Conference of the Parties to the Basel Convention on the Control of Transboundary Movements of Hazardous Wastes and Their Disposal adopted three decisions on the matter of the development of technical guidelines under the Convention: decision BC-13/4 on technical guidelines on the environmentally sound management of wastes consisting of, containing or contaminated with persistent organic pollutants; decision BC-13/5 on technical guidelines on transboundary movements of electrical and electronic waste and used electrical and electronic equipment, in particular regarding the distinction between waste and non-waste under the Basel Convention; and decision BC-13/6 on technical guidelines on incineration on land (D10) and on specially engineered landfill (D5). Information related to the development of these sets of technical guidelines is presented in the relevant sections of the present document, along with proposed action for consideration by the Open-ended Working Group at its eleventh meeting. 1. In its decision BC-13/8, on national reporting, the Conference of the Parties to the Basel Convention on the Control of Transboundary Movements of Hazardous Wastes and Their Disposal took note of the practical guidance on the development of inventories of used lead-acid batteries, of electrical and electronic waste and of waste oils. In paragraph 5 of the same decision, the Conference of the Parties invited Parties to inform the Secretariat, by 28 February 2018, of the types of wastes for which additional practical guidance on the development of inventories would be useful. 1. In paragraph 2 of its decision BC-13/17, the Conference of the Parties to the Basel Convention on the Control of Transboundary Movements of Hazardous Wastes and Their Disposal requested the Secretariat to prepare, subject to the availability of funding and for the consideration of the Open-ended Working Group at its eleventh meeting, a document containing options on how to move forward on electronic approaches to the notification and movement documents, taking into account the note by the Secretariat on the Committee Administering the Mechanism for Promoting Implementation and Compliance (UNEP/CHW.13/9), the note by the Secretariat entitled “Control system: electronic approaches to the notification and movement documents” (UNEP/CHW/CC.12/11/Add.2) and the results of a further survey on the issue, in particular through the gathering of more recent information from Parties and others on existing electronic approaches. 1. In paragraph 5 of decision BC-13/17, the Conference of the Parties to the Basel Convention on the Control of Transboundary Movement of Hazardous Wastes and Their Disposal requested the Secretariat to prepare for consideration by the Open-ended Working Group at its eleventh meeting and subject to the availability of resources, a document compiling information on existing activities that address waste containing nanomaterials and identifying issues related to waste containing nanomaterials that may be relevant to work under the Convention and on options for further work that may be carried out under the Basel Convention related to waste containing nanomaterials within the scope of the Convention, avoiding duplication with activities relating to the matter in other forums. 1. In its decision BC-13/9, the Conference of the Parties to the Basel Convention on the Control of Transboundary Movements of Hazardous Wastes and Their Disposal approved the work programme of the Committee Administering the Mechanism for Promoting Implementation and Compliance of the Basel Convention for the biennium 2018–2019 set out in the annex to that decision. 1. By its decision BC-13/2, on the follow-up to the Indonesian-Swiss country led initiative to improve the effectiveness of the Basel Convention on the Control of Transboundary Movements of Hazardous Wastes and Their Disposal, the Conference of Parties, among other things, established an expert working group on the review of the Annexes with a mandate and terms of reference as set out in annex II to that decision. 1. 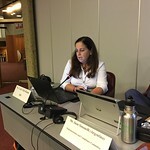 In paragraph 6 of its decision BC-13/12, on the Partnership for Action on Computing Equipment, the Conference of the Parties to the Basel Convention on the Control of Transboundary Movements of Hazardous Wastes and Their Disposal disbanded the Working Group of the Partnership for Action on Computing Equipment. 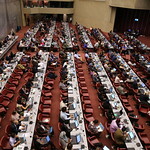 In paragraph 8 of the same decision, the Conference of the Parties invited interested Basel Convention regional and coordinating centres to take the lead in the implementation of activities listed in the work programme set out in the concept note on a follow-up partnership to the Partnership for Action on Computing Equipment (UNEP/CHW.13/INF/31/Rev.1, annex II) and, based on the work undertaken, to propose further development of the concept at the regional or international level, as the need arises. Furthermore, the Conference of the Parties invited interested centres to report, through the Secretariat, on the implementation of paragraph 8 of the same decision to the Open-ended Working Group at its eleventh meeting. 1. In paragraph 2 of its decision BC-13/7, the Conference of the Parties to the Basel Convention on the Control of Transboundary Movements of Hazardous Wastes and Their Disposal requested the Secretariat to continue, under the guidance of the Open-ended Working Group, its cooperation with the Harmonized System Committee and relevant subcommittees of the World Customs Organization in order to facilitate the inclusion of wastes covered by the Basel Convention in the Harmonized Commodity Description and Coding System (Harmonized System) and to report on progress in that regard to the Open-ended Working Group at its eleventh meeting and the Conference of the Parties at its fourteenth meeting. 1. At its fourteenth meeting, the Conference of the Parties to the Basel Convention on the Control of Transboundary Movements of Hazardous Wastes and Their Disposal is expected to adopt the work programme of the Open-ended Working Group for the biennium 2020–2021. In preparation for that process, and in accordance with its usual practice, the Secretariat has prepared a draft work programme for consideration by the Working Group at its eleventh meeting (see annex). 1. In its decision VIII/15 on revisions to the procedure for the review or adjustment of the lists of wastes contained in Annexes VIII and IX and the status of decision VII/21, the Conference of the Parties to the Basel Convention on the Control of Transboundary Movements of Hazardous Wastes and Their Disposal adopted the procedure for the review or adjustment of lists of wastes contained in Annexes VIII and IX, as set out in the annex to that decision. 1. The present scenario note is intended to assist representatives in preparing for the eleventh meeting of the Open-ended Working Group of the Basel Convention on the Control of Transboundary Movements of Hazardous Wastes and Their Disposal by communicating information regarding initial planning activity and expectations for the meeting. A tentative schedule for the eleventh meeting of the Open-ended Working Group of the Basel Convention on the Control of Transboundary Movements of Hazardous Wastes and Their Disposal is set out in the annex to the present note. The schedule will be adjusted as work progresses. The present note, including its annex, has not been formally edited. As referred to in the note by the Secretariat on the strategic framework (UNEP/CHW/OEWG.11/2), the annex to the present note contains the draft compilation of information related to the indicators to be used for the preparation of the final evaluation of the strategic framework, prepared by the Secretariat in consultation with the small intersessional working group on the strategic framework. The present note, including its annex, has not been formally edited. As referred to in the note by the Secretariat on development of guidelines for environmentally sound management (UNEP/CHW/OEWG.11/3), the annex to the present note sets out a draft practical manual for stakeholders to ensure that notifications of transboundary movements meet environmentally sound management requirements, as prepared by the expert working group on environmentally sound management. The present note, including its annex, has not been formally edited. 1. At its eleventh meeting, by decision OEWG-11/2, the Open-ended Working Group welcomed the work undertaken by the expert working group on environmentally sound management and also welcomed the draft practical manual for stakeholders to ensure that notifications of transboundary movements meet environmentally sound management requirements. As referred to in the note by the Secretariat on development of guidelines for environmentally sound management (UNEP/CHW/OEWG.11/3), the annex to the present note sets out draft guidance to assist Parties in developing efficient strategies for achieving recycling and recovery of hazardous and other wastes prepared by the expert working group on environmentally sound management. The present note, including its annex, has not been formally edited. 1. At its eleventh meeting, by decision OEWG-11/2, the Open-ended Working Group welcomed the work undertaken by the expert working group on environmentally sound management and also welcomed the draft guidance to assist Parties in developing efficient strategies for the recycling and recovery of hazardous and other wastes. As referred to in the note by the Secretariat on development of guidelines for environmentally sound management (UNEP/CHW/OEWG.11/3), the annex to the present note sets out draft guidance on how to address environmentally sound management (ESM) in the informal sector prepared by the expert working group on environmentally sound management. The present note, including its annex, has not been formally edited. 1. At its eleventh meeting, by decision OEWG-11/2, the Open-ended Working Group welcomed the work undertaken by the expert working group on environmentally sound management and also welcomed draft guidance on how to address environmentally sound management in the informal sector. As referred to in the note by the Secretariat on development of guidelines for environmentally sound management (UNEP/CHW/OEWG.11/3), the annexes to the present note sets out draft practical manuals on Extended Producer Responsibility and on financing systems for environmentally sound management prepared by the expert working group on environmentally sound management. The present note, including its annexes, has not been formally edited. At its eleventh meeting, by decision OEWG-11/2, the Open-ended Working Group welcomed the work undertaken by the expert working group on environmentally sound management. 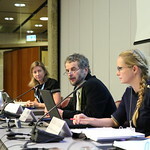 By the same decision, the Working Group requested the expert working group to complete its work on the revised draft practical manuals on extended producer responsibility and financing systems for environmentally sound management, taking into account the comments received during the eleventh meeting of the Open-ended Working Group, which are set out in the annex to the present note. The present note, including its annex, has not been formally edited. As referred to in the note by the Secretariat on development of guidelines for environmentally sound management (UNEP/CHW/OEWG.11/3), the annex to the present note sets out a report of the activities undertaken by the expert working group on environmentally sound management. The present note, including its annex, has not been formally edited. 1. As referred to in the note by the Secretariat on technical guidelines (UNEP/CHW/OEWG.11/4), the small intersessional working group on persistent organic pollutant wastes updated the general technical guidelines on the environmentally sound management of wastes containing or contaminated with persistent organic pollutants adopted by decision BC-13/4, as set out in the annex to the present note. As referred to in the note by the Secretariat on technical guidelines (UNEP/CHW/OEWG.11/4), the small intersessional working group on persistent organic pollutant wastes prepared the draft technical guidelines on the environmentally sound management of wastes consisting of, containing or contaminated with short-chain chlorinated paraffins. The present note, including its annex, has not been formally edited. 1. As referred to in the note by the Secretariat on technical guidelines (UNEP/CHW/OEWG.11/4), the small intersessional working group on persistent organic pollutant wastes updated the technical guidelines on the environmentally sound management of wastes consisting of, containing or contaminated with hexabromodiphenyl ether and heptabromodiphenyl ether, or tetrabromodiphenyl ether and pentabromodiphenyl ether, adopted by decision BC-12/3, to include decabromodiphenyl ether, as set out in the annex to the present note. 1. As referred to in the note by the Secretariat on technical guidelines (UNEP/CHW/OEWG.11/4), the small intersessional working group on persistent organic pollutant wastes updated the technical guidelines on the environmentally sound management of wastes containing or contaminated with unintentionally produced polychlorinated dibenzo-p-dioxins, polychlorinated dibenzofurans, hexachlorobenzene, polychlorinated biphenyls, pentachlorobenzene, or polychlorinated naphthalenes adopted by decision BC-13/4 , to include hexachlorobutadiene, as set out in the annex to the present note. 1. As referred to in the note by the Secretariat on technical guidelines UNEP/CHW/OEWG.11/4, the small intersessional working group on persistent organic pollutant wastes updated the technical guidelines on the environmentally sound management of wastes consisting of, containing or contaminated with hexachlorobutadiene adopted by decision BC-13/4, as set out in the annex to the present note. As referred to in the note by the Secretariat on technical guidelines (UNEP/CHW/OEWG.11/4), the annex to the present note sets out the compilation of comments received from Parties and others on low persistent organic pollutant content values. Comments submitted pursuant to paragraph 10 of decision BC-13/4 by the European Union and its Member States, the Russian Federation, the European Electronics Recyclers’ Association (EERA), the European HBCD Industry Group and EU MEPS, the European Recycling Industries’ Confederation (EuRIC), the International Bromine Council (BSEF) and the International POPs Elimination Network (IPEN) are compiled in the annex to the present note. The present note, including its annex, has not been formally edited. 1. 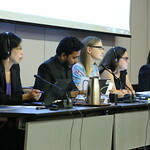 As referred to in the note by the Secretariat on technical guidelines (UNEP/CHW/OEWG.11/4), the expert working group on the e-waste technical guidelines worked on suggestions for amendments to the technical guidelines adopted on an interim basis by decision BC-12/5, as set out in the annex to the present note. 1. As referred to in the note by the Secretariat on technical guidelines (UNEP/CHW/OEWG.11/4), by paragraph 11 of its decision BC-13/5, the Conference of the Parties to the Basel Convention at its thirteenth meeting requested the Secretariat to develop, as appropriate, and in consultation with the lead country on the technical guidelines on transboundary movements of electrical and electronic waste and used electrical and electronic equipment, in particular regarding the distinction between waste and non-waste, a revised questionnaire based upon paragraph 3 of decision OEWG-10/5. 1. 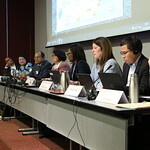 As referred to in the note by the Secretariat on technical guidelines (UNEP/CHW/OEWG.11/4), as per paragraph 3 of decision BC-13/5, Parties and others were invited to provide comments, including suggestions for text, on the issues mentioned in paragraph 5 of decision BC-12/5 and/or alternative text to Appendix V of the technical guidelines on transboundary movements of electrical and electronic waste and used electrical and electronic equipment, in particular regarding the distinction between waste and non-waste under the Basel Convention, to the Secretariat, by 30 October 2017. 1. As referred to in the note by the Secretariat on technical guidelines (UNEP/CHW/OEWG.11/4), a small intersessional working group led the update of the technical guidelines on incineration on land (D10), as set out in the annex to the present note. 2. The changes made to the technical guidelines adopted by decisions II/13 and III/13 have not been indicated using the track-change function as the new document has been structured in a different way to the original one. Therefore, a track-change version is difficult to generate in a readable manner. .
3. The present note, including its annex, has not been formally edited. 1. As referred to in the note by the Secretariat on technical guidelines (UNEP/CHW/OEWG.11/4), a small intersessional working group updated the technical guidelines on specially engineered landfill (D5), as set out in the annex to the present note. As referred to in the note by the Secretariat on national reporting (UNEP/CHW/OEWG.11/5), the annex to the present note contains a compilation of information submitted by Parties on the types of wastes for which practical guidance on the development of inventories would be useful. The present note, including its annex, has not been formally edited. 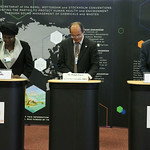 As referred to in the note by the Secretariat on electronic approaches to the notification and movement documents (UNEP/CHW/OEWG.11/6), a summary of the responses to the questionnaire on electronic approaches to the notification and movement documents, received from Parties and stakeholders, is set out in annexes I and II to the present note, respectively. The present note, including its annexes, has not been formally edited. As referred to in the note by the Secretariat on marine plastic litter and microplastics (UNEP/CHW/OEWG.11/7), the annex to the present note sets out a report on possible options available under the Basel Convention to further address marine plastic litter and microplastics. The present note, including its annex, has not been formally edited. As referred to in the note by the Secretariat on marine plastic litter and microplastics (UNEP/CHW/OEWG.11/7), the annex to the present note sets out information on activities related to marine plastic litter and microplastics undertaken by the Basel Convention regional and coordinating centres and the Stockholm Convention regional and subregional centres. The present note, including its annex, has not been formally edited. As referred to in the note by the Secretariat on marine plastic litter and microplastics (UNEP/CHW/OEWG.11/7), the information on the outcome of the first meeting of the open-ended ad hoc expert group on marine litter and microplastics is available via the following link: https://papersmart.unon.org/resolution/adhoc-oeeg. The present note has not been formally edited. As referred to in the note by the Secretariat on waste containing nanomaterials (UNEP/CHW/OEWG.11/8), a report on issues related to waste containing nanomaterials that may be relevant to work under the Basel Convention and options for further work that may be carried out under the Convention related to such waste is set out in the annex to the present note. The present note, including its annex, has not been formally edited. As referred to in the note by the Secretariat on consultation with the Committee Administering the Mechanism for Promoting Implementation and Compliance with the Basel Convention (UNEP/CHW/OEWG.11/9), the annex to the present note contains revised draft guidance developed by the Committee Administering the Mechanism for Promoting Implementation and Compliance with the Basel Convention to improve the implementation of paragraph 11 of Article 6 of the Basel Convention on insurance, bond and guarantee. The present note, including its annex, has not been formally edited. As referred to in the note by the Secretariat on consultation with the Committee Administering the Mechanism for Promoting Implementation and Compliance with the Basel Convention (UNEP/CHW/OEWG.11/9), the annex to the present note contains revised draft guidance on improving national reporting by Parties to the Basel Convention, as developed by the Committee. The present note, including its annex, has not been formally edited. As referred to in the note by the Secretariat on consultation with the Committee Administering the Mechanism for Promoting Implementation and Compliance with the Basel Convention (UNEP/CHW/OEWG.11/9), the annex to the present note contains a revised draft guide for the development of national legal frameworks to implement the Basel Convention, as developed by the Committee. The present note, including its annex, has not been formally edited. As referred to in the note by the Secretariat on consultation with the Committee Administering the Mechanism for Promoting Implementation and Compliance with the Basel Convention (UNEP/CHW/OEWG.11/9), the annex to the present note contains draft guidance on the implementation of paragraph 4 of Article 6 of the Basel Convention on transit transboundary movements, as developed the Committee. The present note, including its annex, has not been formally edited. As referred to in the note by the Secretariat on consultation with the Committee Administering the Mechanism for Promoting Implementation and Compliance with the Basel Convention (UNEP/CHW/OEWG.11/9), the annex to the present note contains a draft work programme of the Committee for Administering the Mechanism for Promoting Implementation and Compliance for the biennium 2020–2021, as developed the Committee and based on its work programme for the biennium 2018-2019. The proposed updates to the work programme have been tracked so that the revisions can be easily identified. The present note, including its annex, has not been formally edited. As referred to in the note by the Secretariat on providing further legal clarity (UNEP/CHW/OEWG.11/10), the annex to the present note sets out a note by the Co-Chairs of the expert working group on the review of the annexes to the Convention on the way forward for the review of Annexes I, III and IV and related aspects of Annex IX to the Basel Convention, for the consideration of the Open-ended Working Group. The present note, including its annex, has not been formally edited. As referred to in the note by the Secretariat on providing further legal clarity (UNEP/CHW/OEWG.11/10), the annex to the present note sets out the compilation of comments received on whether to consider the review of Annexes II, VIII and IX to the Basel Convention submitted by Argentina, Central African Republic, Iraq, Madagascar, Mexico and the Philippines. These comments are also available on the website of the Convention. The present note, including its annex, has not been formally edited. 1. 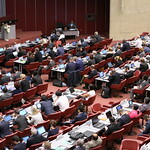 In paragraph 6 of its decision BC-13/12, on the Partnership for Action on Computing Equipment (PACE), the Conference of the Parties to the Basel Convention on the Control of Transboundary Movements of Hazardous Wastes and Their Disposal disbanded the Working Group of the Partnership for Action on Computing Equipment. 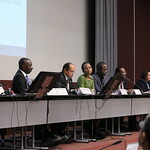 In paragraph 8 of the same decision, the Conference of the Parties invited interested Basel Convention regional and coordinating centres to take the lead in the implementation of activities listed in the work programme set out in the concept note on a follow-up partnership to the Partnership for Action on Computing Equipment and, based on the work undertaken, to propose further development of the concept at the regional or international level, as the need arose. Furthermore, the Conference of the Parties invited interested centres to report, through the Secretariat, on the implementation of paragraph 8 of the same decision to the Open-ended Working Group at its eleventh meeting. As referred to in Section II.B. of the note by the Secretariat on the Household waste partnership (UNEP/CHW/OEWG.11/11), the annexes to the present note set out draft modules of the guidance on the environmentally sound management of household waste, as developed thus far by the Household waste partnership working group. Annex I sets out the draft outline of the overall guidance document on the environmentally sound management of household waste as agreed at the first meeting of the Household Waste Partnership working group. Annex II contains the overall introduction to the draft guidance. Annex III sets out the module on assessment and decision-making and Annex IV the module on separation, collection and transport of household waste. Further information on the timetable for the development of the modules of the draft guidance is available in the report of the first meeting of the Household waste partnership working group. The present note, including its annexes, has not been formally edited. As referred to in the note by the Secretariat on Cooperation with the World Customs Organization on the Harmonized Commodity Description and Coding System (UNEP/CHW/OEWG.11/12), a report on the progress in the work of the Harmonized System Committee and the Harmonized System Review Subcommittee regarding the classification of electrical and electronic waste, is set out in the annex to the present note. The present note, including its annex, has not been formally edited. 1. 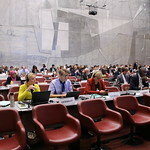 In paragraph 23 of its decision BC-13/24, the Conference of the Parties to the Basel Convention on the Control of Transboundary Movements of Hazardous Wastes and Their Disposal requested the Executive Secretary to report to the Open-ended Working Group at its eleventh meeting on the status of implementation of that decision. As referred to in the note by the Secretariat on application for the removal of wastes from Annex IX to the Basel Convention (UNEP/CHW/OEWG.11/14), the application by the Government of Norway for the removal of entry “B3010: solid plastic wastes” from Annex IX to the Basel Convention is set out in annex I to the present note. An addendum to the application prepared by the Government of Norway is set out in annex II to the present note. The present note, including its annexes, has not been formally edited. The annex to the present note contains draft terms of reference for the Basel Convention Partnership on Plastic Wastes developed by the Open-ended Working Group at its eleventh meeting. In paragraph 8 of decision OEWG-11/8, the Working Group invited Parties and others to provide comments on the draft terms of reference and suggestions on elements of the work programme of the Partnership for the biennium 2020–2021 by 17 December 2018. The present note, including its annex, has not been formally edited. Many of the decisions taken included invitations to Parties and others to provide comments and nominations. To consult those requests, please visit the "Call for information and follow-up to OEWG.11" page.